Home / General / NZ Space Challenge Winner! 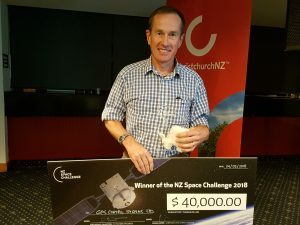 The search for New Zealand’s top space talent has come to an end, with the winner of the 2018 NZ Space Challenge recently announced in Christchurch. The inaugural Space Challenge was won by John Ahearn of GPS Control Systems with their concept of a Global Navigation Satellite System to help heavy tracked vehicles detect and avoid perilous ice shelf crevasses. GridAKL hosted John and 2 other Northern Regional finalists at a showcase event at GridAKL / 12 Madden St during Techweek18. Team Danger Zone/ Thomas Paulin and Nelson Smith (Auckland) and Adrian Tonks from Engin.Systems (Whangarei), joined John to present their Antarctica technology concepts. As a result of this meet-up, GPS Control Systems decided to join forces with Team Danger Zone and present a joint challenge entry at the grand final! 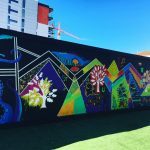 A brilliant example of GridAKL inspiring winning collaborations! 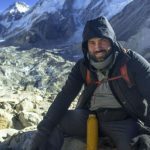 Mastermind John Ahearn was present to collect $40k in prize money, plus six months of desk space at a local incubator and access to mentorship. John said he was very excited to win the award and it was a daunting task to get up and present alongside such a talented group of finalists. “My year seven teacher once told me, when you stop learning, you grow old. So never stop learning,” he told the audience at Christchurch Techweek’18 event. John was up against designs from four other regional finalists, including a Pokémon GO-style augmented reality system, a suborbital rocket, airborne ice penetrating radar, and a multi-spectral data analysis technique using artificial intelligence. GridAKL was thrilled to be a major sponsor of this inaugural NZ Space Challenge, we look forward to many more brilliant ideas and collaborations to come!